HeyMom! is an online community made by Filipino mothers for Filipino mothers. It is designed to be a resource for mom to access and exchange relevant information that will help in their daily parenting tasks. International model and VJ Amanda Griffin, actress Mylene Dizon and experienced momblogger Noemi Dado are the HeyMom! personalities who offer their no nonsense advice on motherhood and parenting being mothers themselves. The celebrity moms got you covered as they offer different perspectives on parenting techniques and motherhood concerns. 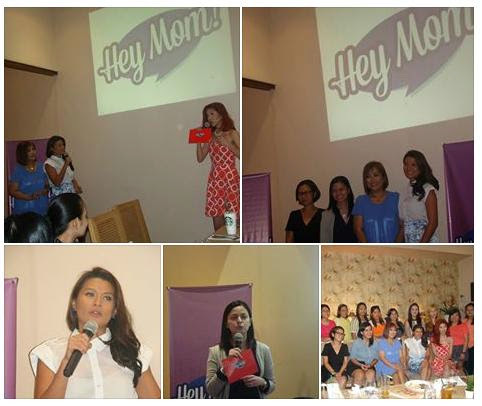 Visit heymom.com.ph to register and be part of this sisterhood group among mothers. Follow www.facebook.com/heymomph for more details.